Doctors have to get their training somewhere. So they go to medical school. But that's far from the end of the line. Much of what I now know about how to make people well, I learned after medical school not in it. And medicine keeps changing. New discoveries are made all the time. So how do doctors keep up with it? An amazing new report in the Journal of the American Medical Association details that for the most part doctors just keep eating what they have been fed. Here are the details. The authors of the report note that Big Pharma routinely pays physicians and provides them with free continuing educational units to learn about a particular drug they are peddling. This is a good deal for doctors because they need these continuing educational units to maintain their license. But here's the thing that makes this practice controversial. Previous studies have shown that when doctors receive the payment and the free educational units to learn about the drug, they start prescribing that drug more. Just recently Big Pharma payment data and Medicare prescribing records became publicly available. So to learn more about how this system works the researchers looked at these newly available records. Here's what they discovered. It turns out that a full 80% of these "industry payments" to doctors was for meals. I've been to several of these dinner lectures. They are great fun. You get to be with an entire group of nerdy docs just like yourself, you get a great meal, you learn all about some new product Big Pharma has developed, and you get free continuing educational units. The researchers wanted to know how effective these freebies were at getting the doctors attending to prescribe the drug being hyped. You can probably guess the results. The report looked specifically at four different drugs. The first drug was the statin drug, rosuvastatin. The second was a cardiac drug, nebivolol. The third drug was the blood pressure drug, olmesartan. And the last one was the anti-depression drug, desvenlafaxine. They were looking to see if the doctors prescribed the drugs more often after they had attended a dinner promoting them. A total of 279,669 physicians received 63,524 dinners associated with the four target drugs. The docs eating the rosuvastatin dinner ended up prescribing rosuvastatin 18% more after hearing the pitch. The docs at the nebivolol dinner ended up prescribing that drug 70% more often. The docs toasting at the olmesartan meal ended up prescribing olmesartan 52% more often. And the docs digesting the desvenlafaxine dinner ended up prescribing the drug a whopping 218% more often. So when you go to the doctor and he/she prescribes a drug for your symptoms, understand that many times that decision is based mostly on marketing. The authors of the study were quick to point out that, "The findings represent an association, not a cause-and-effect relationship." And I can believe that. I don't think there are going to be too many doctors who are so naïve that they will prescribe a drug simply because they had a good meal. The point is that this is where most doctors get the majority of their information on how to help their patients — from Big Pharma sponsored events. 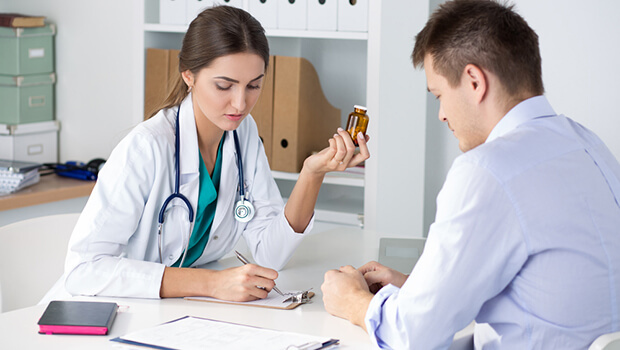 So if you want to get a good opinion on what kind of drug you could be taking for your condition, then make sure you see a doctor that has a strictly conventional focus. That is what his training is focused on. As this study shows, they hunger for it. But if you want to learn about some natural, alternative ways to heal your condition, see a doctor who in addition to his conventional training has gone out of his/her way to learn about these kinds of treatments. You can find docs like that at: www.aaot.us, www.acam.org, www.naturopathic.org, www.abihm.org, www.faim.org, www.ahha.org, www.amfoundation.org, www.aihm.org, www.aaimedicine.com, www.icimed.com, and www.imholistichealth.org. DeJong C, Aguilar T, et al. Pharmaceutical Industry-Sponsored Meals and Physician Prescribing Patterns for Medicare Beneficiaries. JAMA Intern Med. 2016 Jun 20.